唐韦星 Chinese professional player, born 1993-01-15, pro from 2006-07-24. Promoted 2 dan on 2007-07-17 and 3 dan on 2010-07-20, he was promoted to 9 dan on 2013-12-11, by winning the 18th Samsung Cup. 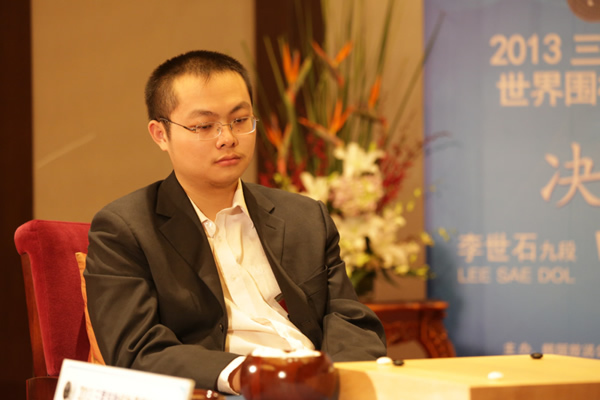 Member of the Team Liaoning winner of the 2011 China Weiqi League. In 2012 reached the Semi-finals of the 1st Bailing Cup. Winner in 2013 of the the 18th Samsung Cup. Winner in 2014 of the the 13th Xinan Wang. Winner in 2015 of the the 14th Xinan Wang.